Lack of sleep can bring some negative effect on your body. Your skin becomes imbalanced, breakouts, eye dark circles, redness, reduce moisture levels and loss skin elasticity. An occasional night without sleep may make your skin looks less youthful and less of glow. To be an editor, sleep late is the most common to us. Therefore, we need to maintain our healthy skin, improve complexion and increase moisture level. Today, let’s me introduce my top 5 sheet masks from Japanese brand for night owl like me. Stay healthy and beauty skin. This sheet mask is suitable for the people who have sensitive skin. It is gentle skin care product with gel serum formulated includes 9 amino acids to restore and improve skin condition. This sheet feels so smooth and soft, the paper fits and wraps your face very well. Use 1 to 2 times a week for 10 to 15 minutes. This is the best sheet mask for increasing my moisture level. This sheet mask has rich formula texture and high penetration ability that moisturizes and firms skin. No fragrance, colorant, mineral oil and paraben. Paper mask attaches to the whole face well. You can pull the edges lightly to fit to the curves of nose and chin. Use once or twice a week for 10 to 15 minutes. This is recommended by LDK Japanese Beauty Magazine in 2017. 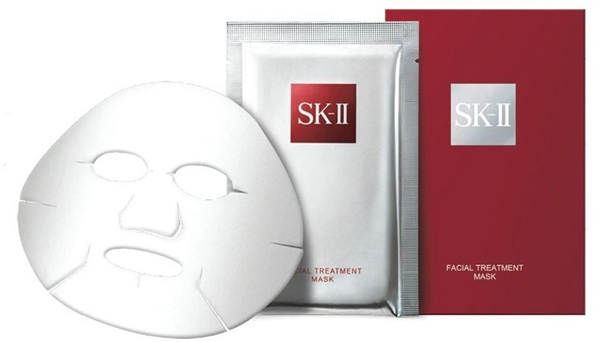 SKII facial treatment essence is awarded bestseller with over 90% Pitera formula. The essence is the best to boost skin’s texture, improve firmness and reduce wrinkles. Every cotton mask is soaked with Pitera for delivery moisture to the skin. Use 1 to 2 times a week for 15 minutes. This Japanese brand is high-end skin care product. Grab one if you need to look younger and say bye to Panda eyes. 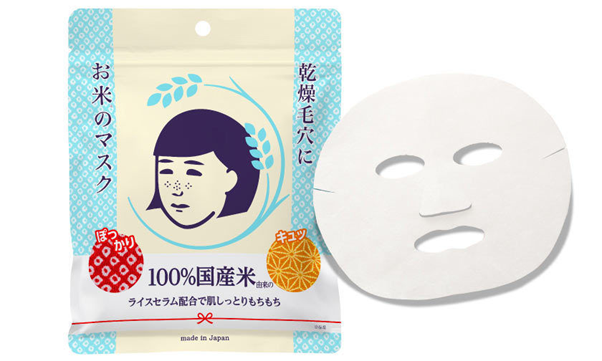 The rice mask contains 100% Japanese rice extract to deliver moisture and firmness. It also minimizes the pores and created smooth and naturally skin. 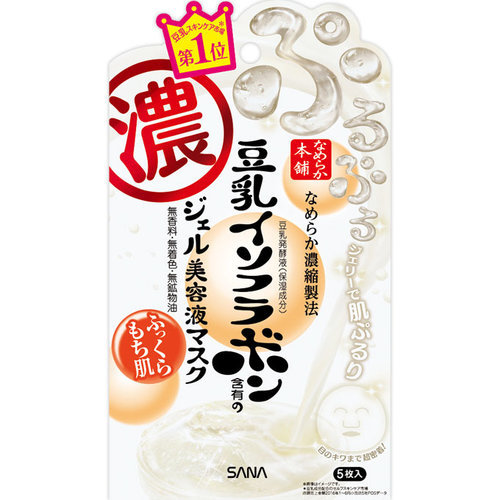 This sheet mask is soaked with beauty serum and it provides natural smell of light sake when you apply on the face. Use 1 to 2 times a week for 30 minutes and then massage remaining essence on the face. It ranked number 1 on Cosme in 2016. So, grab it now before your skin getting worse. 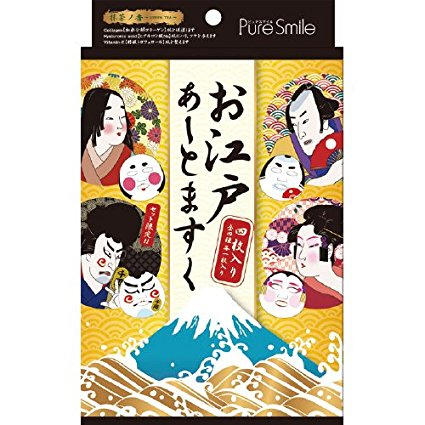 Pure Smile has released face Mask includes geisha, samurai, doggy, kitty and masquerade masks. It is not your usual face mask but they come with colourful cotton mask. A pack of face mask contains collagen, hyaluronic, vitamin and full of other beauty essences. Use 3 to 4 times a week for 15 to 20 minutes to give skin high moisturise level and keep elasticity and smoothness. Take a photo and share in your SNS. Great for souvenirs. 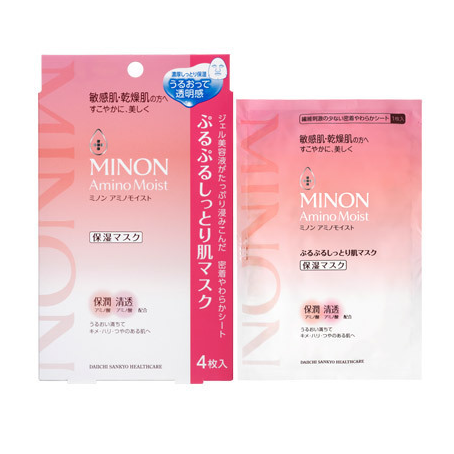 10 Japanese Facial Sheet Mask Worth or Not Worth to Buy? Sheet Masks - the cutest way to beautify!